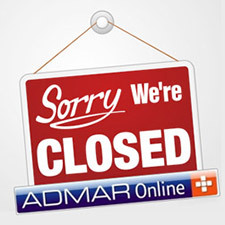 ADMAR online, the Wragby based firm which has been trading for close to 25 years is set to close. However, at a meeting of its directors held on Tuesday May 6th they decided that it should close. Mike Martin, one of its two directors along with Paul Adams, said all four staff have lost their jobs. “We were trying to secure working capital against the building and the banks didn’t want to loan to us,” Mr Martin said. Mr Martin said he was proud of how ADMAR had kept its ethics as the data supply industry changed, such as refusing to take pay day loan companies as clients. Although the closure wasn’t a sudden surprise, he said it has been tough to lose the business and its staff.